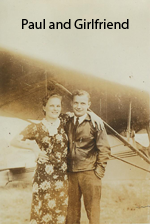 Paul F. Maxwell, son of Charles F. Maxwell, a prominent Renovo business man, was a pioneer in aviation in Renovo, but met an untimely death at the age of 23 on October 10, 1937 at the South Renovo Airport (now Bucktail Medical Center). A passenger, Ammon Eckel, 20 was seriously injured but lived to be 92. In 1933 Paul Maxwell first learned to fly at the Lock Haven Airport. He brought a Parks airplane to Hyner and aroused much interest in flying. He and Harrison English (at Hyner) were the leaders in Renovo flying. 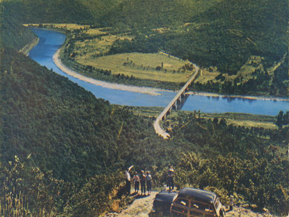 Paul organized the Renovo flying club which established themselves at the Community Park Airport at South Renovo. He had purchased a Taylor Cub at Bradford, Pa. In 1937 he purchased a Lycoming powered Stinson four place monoplane with which he intended to establish a passenger and charter service. The pioneer Renovo flyer had attended Boeing Aircraft school in California for a time and held a commercial flight license. He made several cross country trips and was a leader of a growing club here in Renovo. Some of the following were members of the Renovo Flying Club and others flew from Hyner Airport. They were Ralph Sicuranza, Michael Green, Robert Dibert, Clyde Bouse, Franklin Crays, Dale McCracken, William Beebe, Terry O' Laughlin, Horace Daugherty, Bernard Daugherty, Francis Ginther, John Haas, John Miller, Edward Pierson, Francis McGuire, Fred Tillack, Irvin Rankin, Gene Biernesser, Richard Linn, Francis Bruno, Paul Redis, Michael Hanobeck, Donald Fantaski, Thomas Fantaski, John Hiller, Clyde Hammer, James Vanetta, Wilfred Harridine, Charles L. Shaffer and Harrison English..